The end of literary culture? I get more and more annoyed at these pontificators. Will Self is notorious for standing at the corner of Publishers’ Row shouting “The end (of the novel) is nigh”. Here’s a Guardian reference. There’s even a Wikipedia page for “The Death of the Novel”. I suspect many of the people referenced there wish they’d bitten their tongue. Who does he think he is? Well of course we all know that he’s a successful and well-respected literary agent, and as such no doubt quite right to regard himself as part of literary culture. If he had used slightly different phraseology, saying “It’s very clear to me, and to those I represent, that what Amazon is doing is detrimental to some authors, especially those I represent. If Amazon is not stopped, we are facing a changed book industry” I wouldn’t have had an issue with that, but then of course nobody would have heard as it’s so boringly obvious. “The end of literary culture in America?” Really? People will stop writing when some better medium for story telling and information exchange comes along, and the novel will “die” when a better format evolves. When either of these things happens it will be cause for celebration, not maudlin regret. 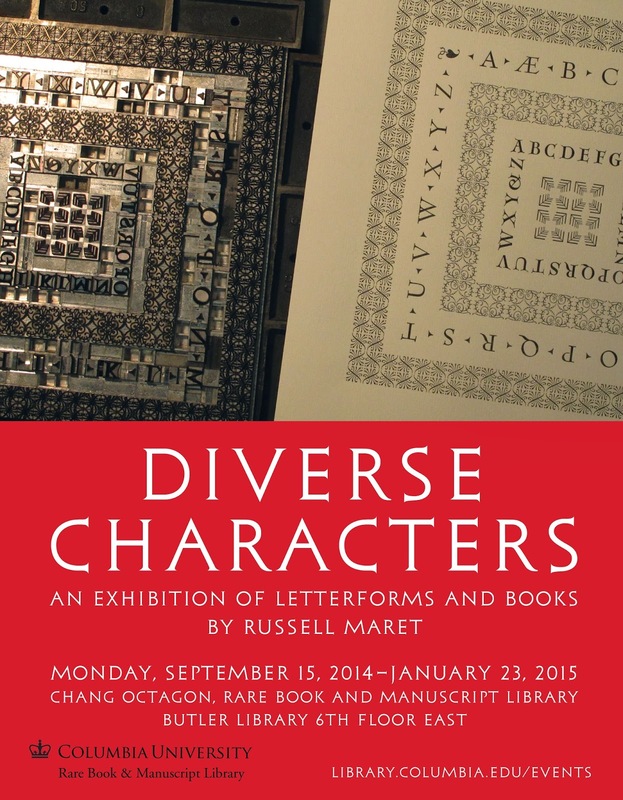 In the Chang Octagon at Columbia University’s Rare Book and Manuscript Library (in the Butler Library building) there’s a small exhibition of the work of artist, printer, typographer Russell Maret. Here’s a link to his blog, Notes of an Alphabetical Fetishist. 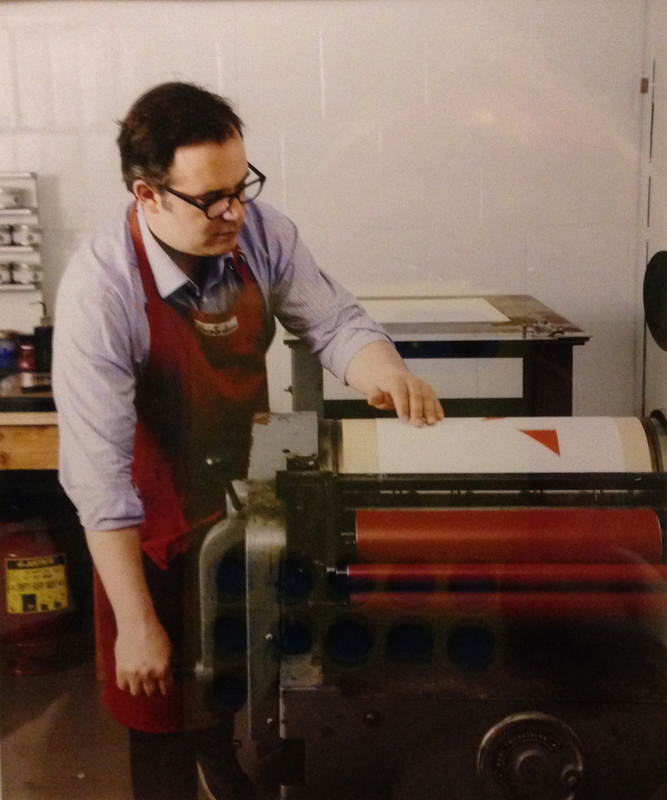 Maret printing a page from Interstices & Intersections on his Vandercook Universal III press. 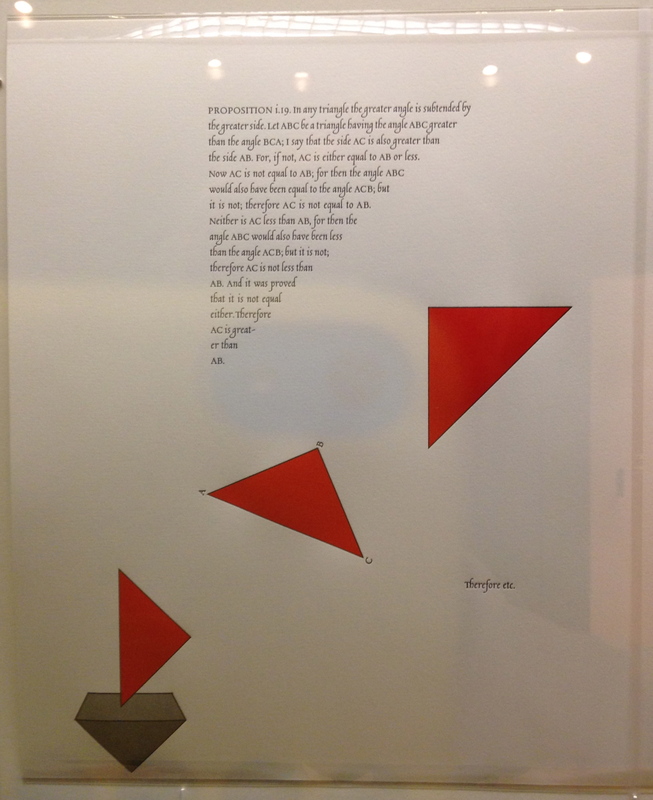 The exhibition continues till 23 January 2015. 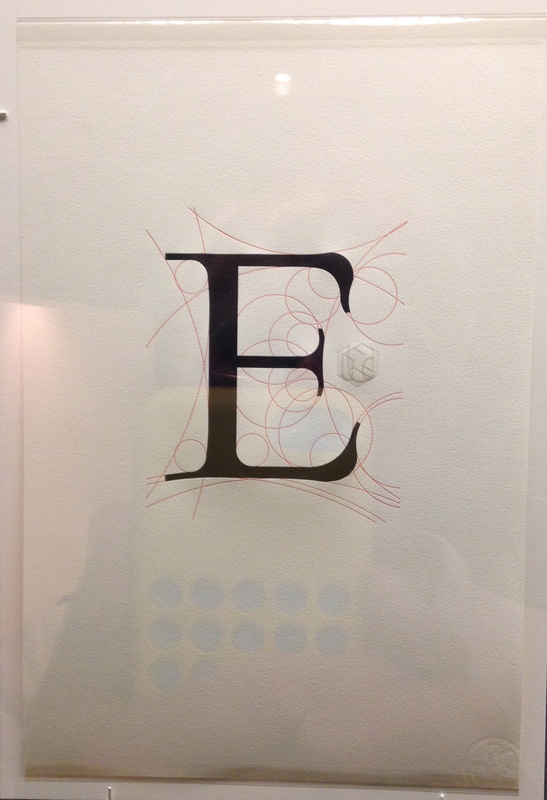 “E is for Euclid” from Aethelwold Etc. 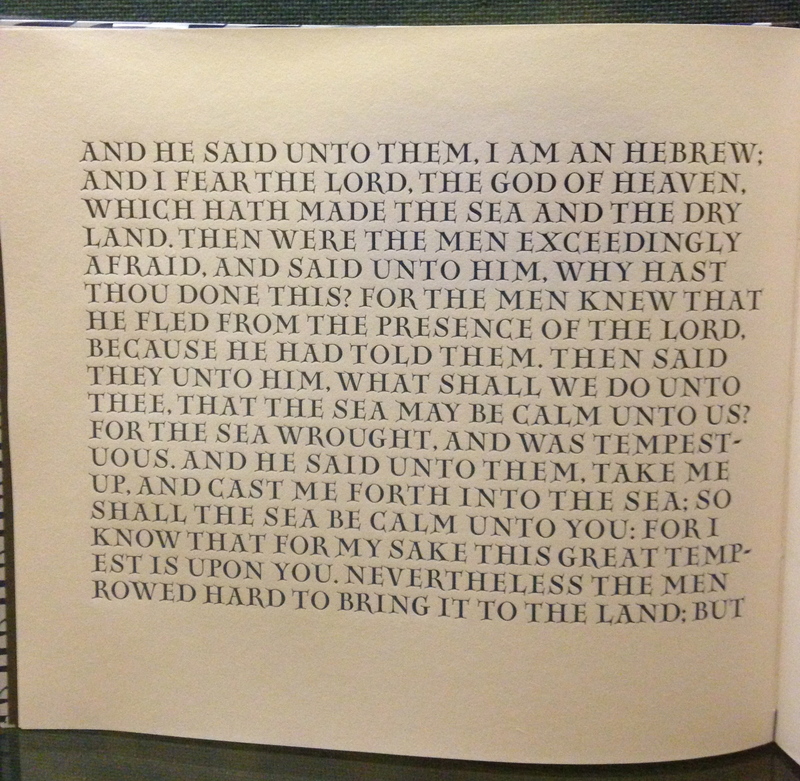 Page from The Book of Jonah using type inspired by altarpiece lettering at Klosterneuburg, 1181. Suzanne McGee has this amusing piece in The Guardian. The winking photo of Jeff Bezos is alone worth the click-through. She suggests her book-buying activity may have helped Barnes & Noble’s bottom line. Recent results however suggest not, though no doubt the whopping effect won’t show till next quarter. This guest post on The Digital Reader by Rich Adin rings warning bells about Barnes and Noble. Slate suggests that the news for independent books stores is however better. We have heard reports of people being “forced” to go to an independent bookstore because of the slowed-down delivery of Hachette titles, and there was that effort by Stephen Colbert to get everyone to buy one of the embargoed books, California by Edan Lepucki. I don’t know how that worked out; and I’m sure nobody’s going to give us real sales numbers. But signing 10,000 copies at Powells can’t be bad. (The beauty of a signed copy from the author and the publisher’s point of view is of course that the book cannot be returned to the publisher for credit.) Maybe there’s a contrarian way in which this story is good for book publishers — getting them talked about by people who can’t wait to get their hands on “the product” and rush off to the nearest bookstore. Personally I would have expected the effect to be minor though. Having to wait a few days for a book wouldn’t be a big deal for me — but then of course I am definitely not part of the demographic allegedly inconvenienced by this Hachette slow-down, so I’m no doubt way off: the sales bump for California has been described as massive. Clay Shirky’s Medium piece seems to be creating a stir. Magellan Media posts (linked via The Digital Reader) in support. As usual Mike Shatzkin is on hand to demolish the shaky Shirky shack. It’s no doubt an inevitability, but partisans will always slant arguments towards their side of the scales. This may not necessarily be a conscious distortion: if you spend hours arguing for this perspective as against that one, it is probably almost certain that perspective is something you will lose. This slanting the truth to suit your argument is illustrated by Shirky’s account of the early years of the paperback. What he says isn’t absolutely wrong: it’s just incomplete. And if it were complete it would be irrelevant to his argument, which is of course why consciously or unconsciously, he leaves it incomplete. Mr Shatzkin deals with this partial story with clarity. I’m still not sure whether bricks-and-mortar retail has a future anyway in books or any other goods. Here’s a piece from Retail Customer Experience which discusses the future of retail in general, linked to by The Passive Voice. The future seems likely at the very least to involve joint on-line/physical store collaboration. Of course we haven’t gotten any resolution of the Hachette-Amazon negotiations yet. It’s all gone quiet in the media — which is just as well. I suspect that whatever results, the world will look pretty much the same on the day after as it did the day before. Either Amazon will be a little bit more profitable, or Hachette will have managed to protect its margins. Earths don’t shatter on such outcomes. Longer-term trends however remain hard to make out. It may be significant that Simon & Schuster have just reached an agreement with Amazon, as of course have many smaller houses. Is it possible this story has been over-hyped? A generous uncle, or he ought to be. Either from Russell Square or Random House. I’m going to put their patience out of joint. Obtaining money under false pretences. With humbly begging everybody’s pardon. Permission now and then to pull their leg. It’s always good to have an appreciative author. 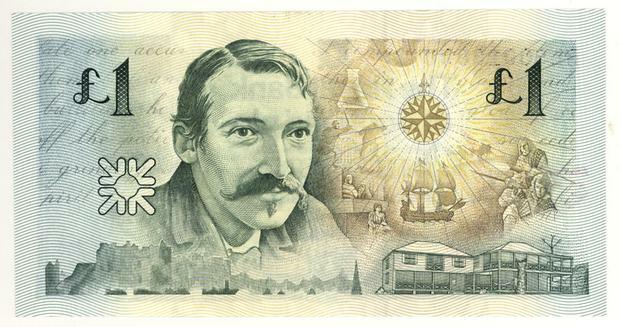 We never did a book for Professor G. L. S. Shackle, but he would call or write to everyone involved in the process, thanking them for making his book so handsome. It made you keen to work on the next one. This is probably a good move for any author, even if you aren’t sure your next book will come from the same publishing house. People do change jobs. Auden wrote Letter to Lord Byron, a pastiche of Byron’s Don Juan, on his visit to Iceland in 1936. Obviously Faber expected a travel book. Letters from Iceland was indeed forthcoming, a book in prose and verse by Auden and Louis MacNeice. No doubt Faber and Random House have done very nicely out of this Byron piece as well as the other writings of W. H. Auden, though perhaps not as well as John Murray did out of Byron’s Childe Harold’s Pilgrimage. Murray disagreed with Byron about the satirical and sexual content of Don Juan, and actually abandoned publication after the 5th Canto though sales were good. Sorry I can’t seem to get rid of that indent in the first stanza. Word Press is not set up for verse! Stephen Pinker, as is well known, writes well. Viking has just published his The Sense of Style: The Thinking Person’s Guide to Writing in the 21st Century. 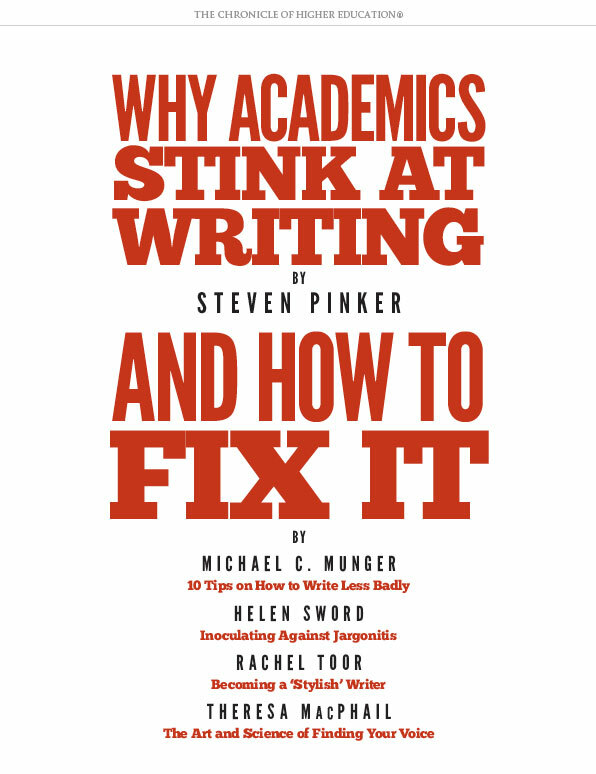 The Chronicle of Higher Education has just published Why Academics’ Writing Stinks”, in which Pinker provides a life line for writing-challeneged academics (and any other writer actually). The link came via The Digital Reader. Clarity is the virtue Pinker seeks. “When Calvin explained to Hobbes, ‘With a little practice, writing can be an intimidating and impenetrable fog,” he got it backward. Fog comes easily to writers; it’s the clarity that requires practice. '” Pinker’s advice tends towards the permissive as far as those old chestnuts like splitting infinitives, prepositions at end of sentence, etc. are concerned. His big bugaboo is the curse of knowledge: if you know something thoroughly you tend to assume everybody else knows it too. “When we are apprentices in our chosen specialty, we join a clique in which, it seems to us, everyone else seems to know so much! And they talk among themselves as if their knowledge were conventional wisdom to every educated person. As we settle into the clique, it becomes our universe. We fail to appreciate that it is a tiny bubble in a multiverse of cliques. When we make first contact with the aliens in other universes and jabber at them in our local code, they cannot understand us without a sci-fi universal translator.” In other words: think who you are writing for and make sure they can understand the stuff you take for granted. Perhaps surprisingly he identifies people in Departments of English as more prone to academese than scientists. The Chronicle is offering a free download of Pinker’s advice together with other tips from Michael C. Munger, Helen Sword, Rachel Toor and Theresa MacPhail. Nobody at a university press could fail to benefit from this booklet. This ardent reader doesn’t really appear to be enjoying himself. Maybe his glasses aren’t strong enough. 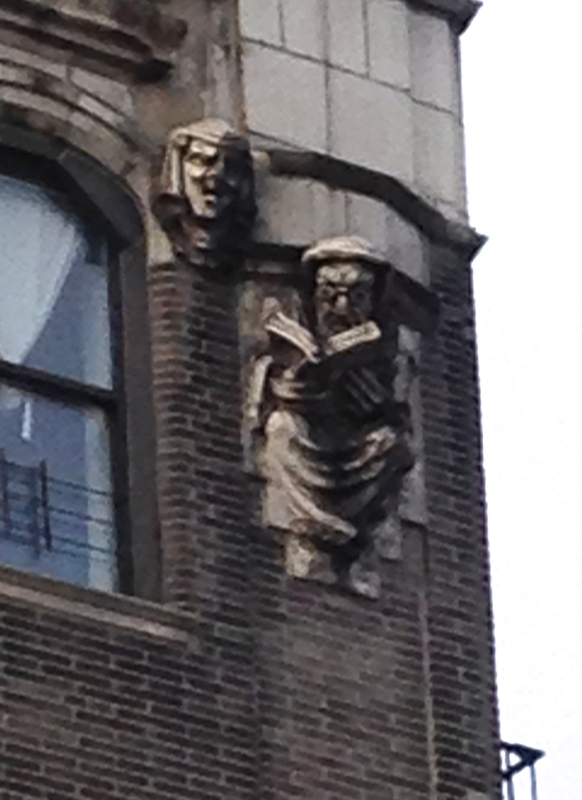 I’m told by a friend who lives in this building at the corner of Fort Washington Avenue and 181st Street, that the inhabitants are all enthusiastic readers, swapping their books in a little free library in the lobby. The New Yorker is always spoken of in awed tones when it comes to fact checking. Why do you think that is? Almost entirely, I suspect, because they actually do do it. Many places don’t fact check, and if they do, do so in a fairly cursory way. There’s a little kerfuffle going on about a 2009 book, Somaly Mam’s The Road of Lost Innocence, which Kathleen Newman suggests in The Atlantic should have been fact checked. I’m not so sure. As Publishing Perspectives comments on this controversy “of course, publishers are able to find the funds when it comes to ‘an in-depth legal vetting process, during which lawyers review a manuscript and flag any passages that may expose the author or publisher to issues of legal liability.’” It’s a bit of a non-sequitur to take the next step and suggest that this means fact checking should also be done. I don’t think any law is being broken if I write about my childhood as a female prostitute in Cambodia (even though I’ve never been there, have never worked in the oldest profession, and am in fact a male), even if I and my publisher try to pass this off as a true memoir. Publishers pay their lawyers (a lot of) money to protect themselves against potentially more expensive law suits for libel, defamation etc. I don’t think there are any laws establishing a public right to factual accuracy in memoirs or any other books: and if there were the novel would be in even more danger that it is said to be. The Atlantic piece mentions an author who employed a fact checker who’s work took eight months. That’s a lot of delay and a lot of money, and while the author in question, a former fact checker herself, presumably thought it necessary, I wonder if it was really worthwhile. A note in the Preface saying “the facts reported are as I remember them, but memory is fallible” might have been sufficient. Of course if a wrong fact in your book is going to lead to someone’s death, this is a horse of a different color. But is that ever likely to be the scenario? 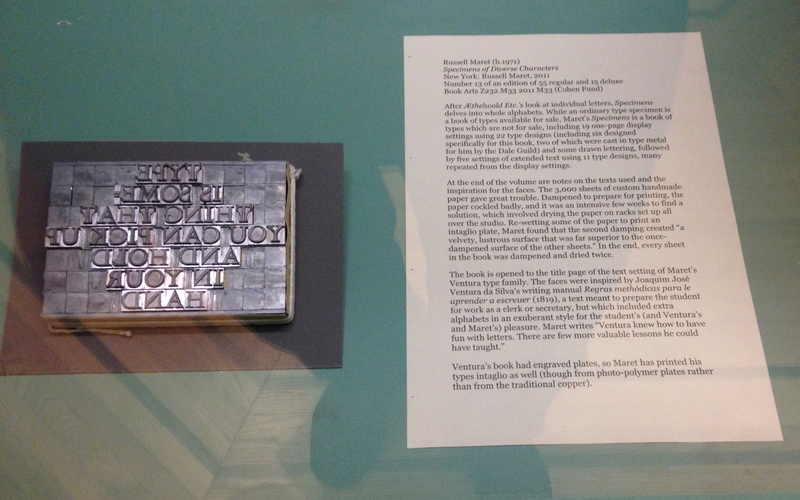 Maybe in non-fiction books about espionage — but no doubt the CIA is all over those manuscripts. Maybe The Mother Jones fact checker’s book about Burma did indeed include stuff like this, in which case caution was of course justified — on the part of the author. But that brings me on to the second salient point. Publishers contracts tend to include a standard clause in which the author indemnifies the publisher against damages resulting from the content of the book. The book is a “Publisher-X book” of course, but much more importantly it’s an “Author-Y” book. Publishers are responsible for whipping the book into shape, getting it to the marketplace, and selling it. Authors are responsible for what goes on between the covers. The cautious publisher of a textbook on drug therapy is likely to publish a disclaimer in the front saying that nobody should follow any procedures described in the book without first getting advice from a professional. Authors have a right to say what they want. If the publisher doesn’t like what they say they can decline publication, but this can lead to litigation initiated by the aggrieved author — specially if there’s an advance against royalties involved. Having to fact check every non-fiction manuscript would probably lead to most of them not being published — we are just not willing to pay the price (“we” here meaning the customer as well as the publisher). The Kindle can do many things, but not all of them are explained in the user manual. (For example, the first Kindle had a hidden menu where you could see a list of the Lab126 team members who had worked on it.) Among the many neat undocumented tricks is one that I use on a regular basis: taking a screenshot. The Kindle has had the option to let users take a screenshot since the day the first unit shipped in November 2007. The trick to enable this feature varies from one model to the next, so I took a few minutes to list them all. Original Kindle, Kindle 2, Kindle DX, Kindle Keyboard – Press and hold Alt-Shift-G on the keyboard. Kindle 4 (the model with neither a touchscreen or a keyboard) – Press and hold the home button and the keyboard button. Kindle Touch – Press and hold the home button, and then tap the screen. Kindle Paperwhite, Kindle (2014) – These models don’t have any buttons on the front, so Amazon had to get a little inventive when creating the trigger for the screenshot. To take a screenshot on the Kindle Paperwhite or the new Kindle, simultaneously press two opposite corners of the screen (upper left and lower right, for example). The screenshots are saved in different locations on the various models, and you’ll need to connect your Kindle to a computer and transfer them over USB. Generally you’ll find the screenshots in either the main folder or the documents folder. If you don’t see them in either location, you probably didn’t quite get the buttons presses in the right order. P.S. If you’re looking for instructions on how to take a screen shot on a Kindle Fire (or, as Amazon now calls them, a Fire tablet), here is what I generally try with Android devices.